Spot direct to Pro Tools Timeline or Clip List. 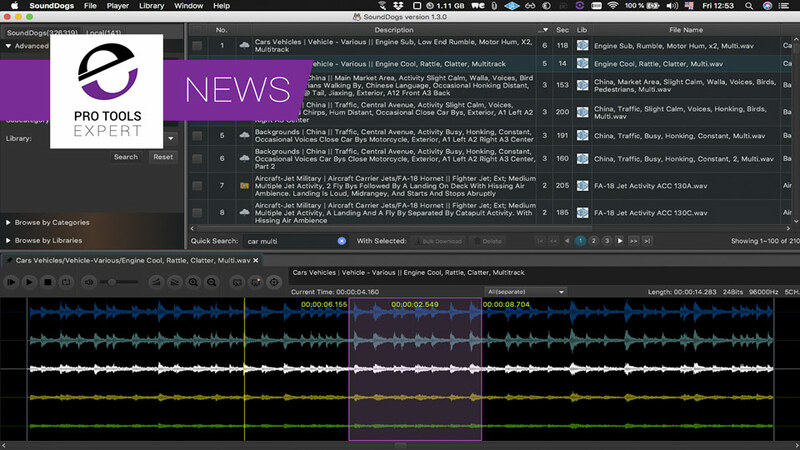 Drag and Drop full or partial selections of the sounds from the application directly to folders or Pro Tools. Access instantly to the SFXs you need from any studio simply with an internet connection. Do you use the free Sounddogs app? How do you find it? How does it compare to Soundly, Soundminer and Basehead? Please do share your thoughts and experiences in the comments section below.